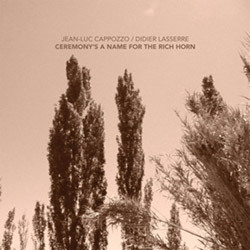 The superb trio of Daunik Lazro on baritone sax, Benjamin Duboc on bass, and Didier Lasserre on drum & cymbals, in a live recording from Ecouter pour l'instant festival, a long open work inspired by poet Henri Michaux's writings on emptiness & tranquility. 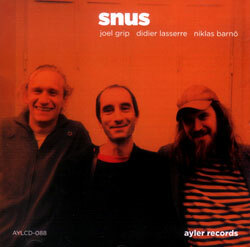 The Snus trio of Niklas Barno (trumpet), Joel Grip (bass) and Didier Lasserre (drums) return for their second album, an addictive mix of free jazz and free improv, subtle to skronking music of great beauty and power. 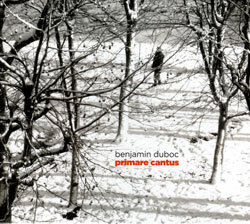 A 3 CD set from bassist Benjamin Duboc: a solo disc of low register improv; plus 2 discs in duo and trio settings with Didier Lasserre, Sylvain Guerineau, Jean-Luc Petit, Pascal Battus, Sophie Agnel & Christian Pruvost. 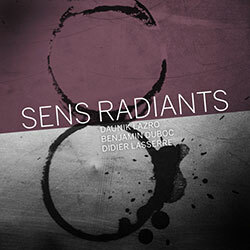 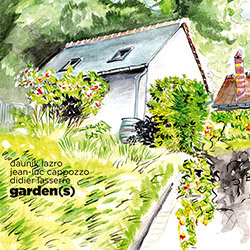 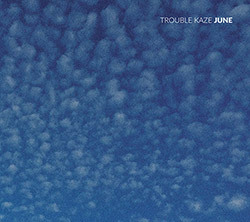 A free trio bringing together Swedish improvisers Joel Grip and Niklas Barno with French drummer Didier Lasserre in an energetic and sophisticated set of recordings.